Hey Harriet is the host for this lovely meme! This is a small vase that belonged to my mother and maybe her mother before her. There was a matching one which broke and I repaired, but not very well. It made a lovely shadow. Congrats to WhizKid for winning the Shadow Shot Gallery Anniversary Prize! Love this vase and the shadow behind it. Sorry about mix up on the meme. It's been a little crazy around here the last few days!!! Have a great weekend! Lovely vase and a great shadow as well! Hope you're having a great holiday weekend so far! whenever you want to get rid of the shadow, I will take the vase. 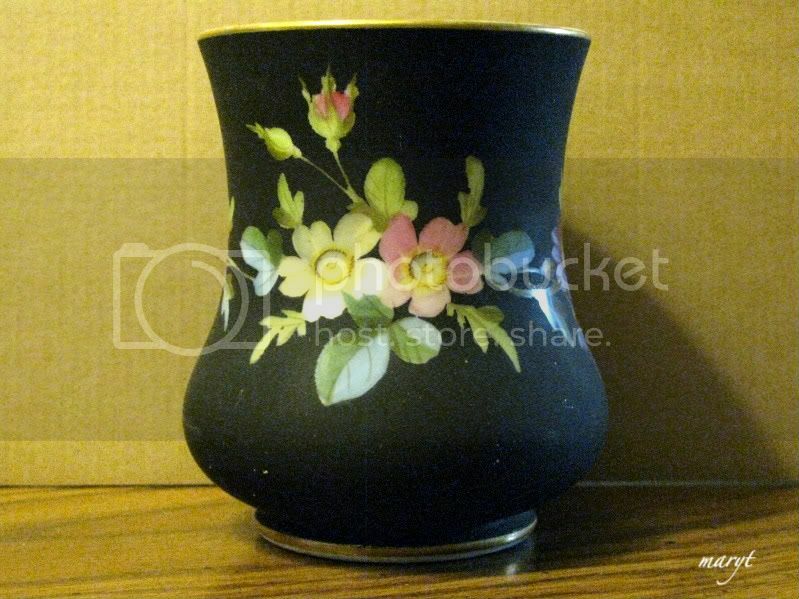 The vase is so vintage. A nice shadow too. Am looking for one to fit some pillows but it's too hard to find such. Thanks for your kinds comments on my blog. Have a happy week! This is a great shot, Mary. Have a beautiful weekend. I love the vase also. What a treasure to cherish. Beautiful vase and shadow too.